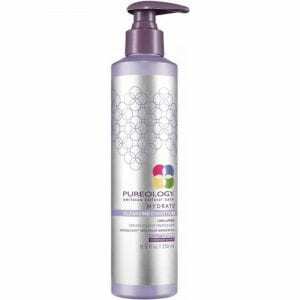 Pureology Clean Volume Conditioner detangles hair and provides lightweight volume and shine for fine, colour-treated hair. Enjoy a voluminous look, with lift at the roots that lasts all day. No silicones or sulfates. 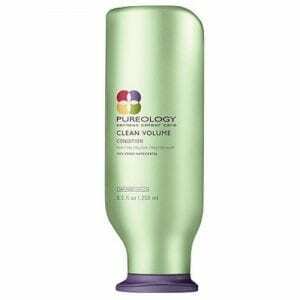 Pureology Clean Volume Instant Levitation Mist elevates hair with 24 hours of magnificent volume. Menthol-infused formula stimulates scalp to provide root lift. No silicones or sulfates. 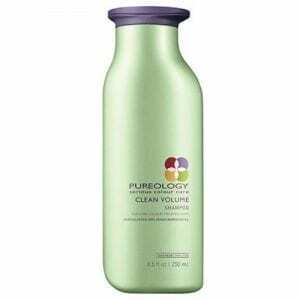 Pureology Clean Volume Shampoo gently cleanses fine, colour-treated hair without stripping colour. 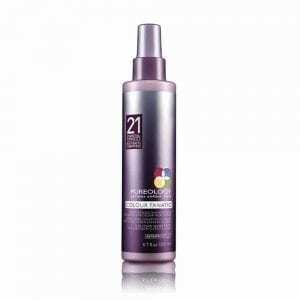 Provides light, airy fullness with lifted root that lasts all day. No silicones or sulfates. You won t believe how much healthier your hair looks and feels after using Pureology Colour Fanatic Deep Instant Deep Conditioning Masque. 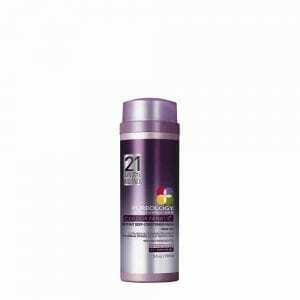 Boasting 21 essential benefits to restore, protect and perfect, this masque is specially formulated to give normal to thick color-treated locks the attention they deserve. Damaged areas are specially targeted to nourish, lock in moisture and smooth cuticles. Hair is left fortified, including the color, and is protected against fade caused by the environment or styling tools. Enjoy improved elasticity, softness and shine with frizz and static control. 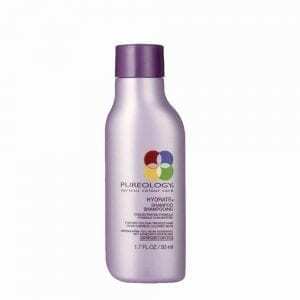 Pureology Colour Fanatic Multi-Tasking Hair Beautifier is a little powerhouse of hair bliss. This on-the-go leave-in treatment protects hair color with the exclusive AntiFade Complex while detangling, moisturizing, and conditioning. As a weightless primer, it works as a helpful hair cutting lotion, reduces blow dry time and offers low porosity hair care. Not only does it help treat and prevent split ends, but the mighty mist also protects hair against breakage from daily brushing and combing. Featuring fennel seed extract and a natural blend of camelina, coconut and olive oil, this essential spray helps repair damaged hair and shields it against heat and environmental damage. This strengthening styling aid seals the hair cuticle to give you silky, shiny, and smooth hair. In addition, it reduces hair static and battles frizz. 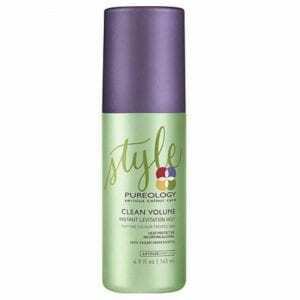 Working as a hair moisturizer spray, it reduces dryness and works as a hair refresher any time you want to restyle. 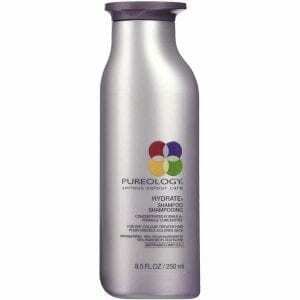 Pureology Colour Stylist Antisplit Blow Dry infuses your hair with moisture to ease blow-drying. 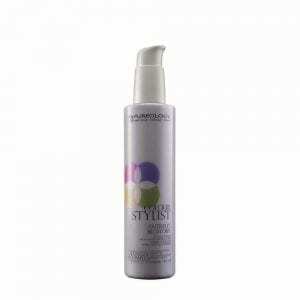 Humidity-resistant, the lightweight styling cream also adds reflective shine and long-lasting shape memory. 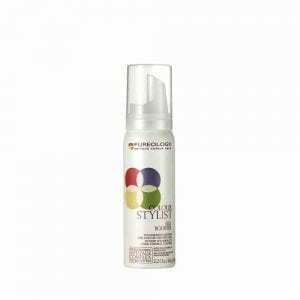 And, the styling aid protects color-treated hair while optimizing color vibrancy. 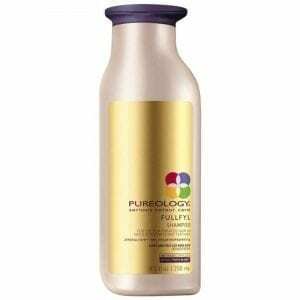 Get firm definition in the layers of your hair with Pureology Colour Stylist Piecing Sculpt. 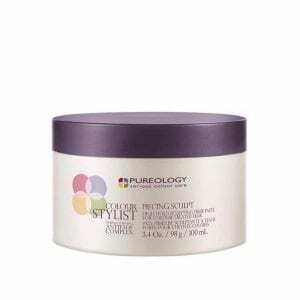 This high-hold fiber paste sculpts dry or damp hair to create strongly supported, piece-y layers. 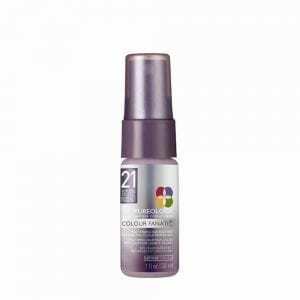 Suitable for color-treated hair, this sculpting aid firmly provides long-lasting control and adds a shiny texture. Created with an exclusive AntiFade Complex to protect and maximize color, this maximum-hold styling aid also features protective UV filters and nourishing vitamins for healthier hair. 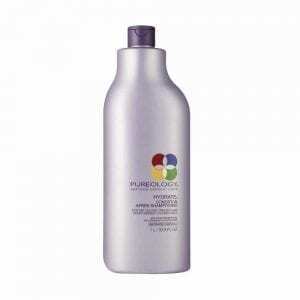 Infuse your hair with fullness and volume with Pureology Colour Stylist Silk Bodifier Volumizing Mousse Travel Size. Easy to take along with you anywhere, this rich conditioning formula offers medium control and gives you soft, shiny tresses. 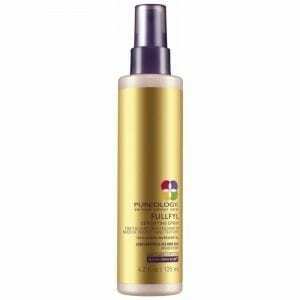 Plus, this silky mousse protects color-treated hair and maximizes color vibrancy. 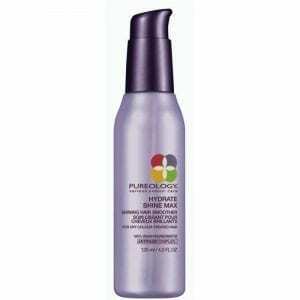 It will help hair achieve a full body and textured look, all while still maintaining movement and shape. 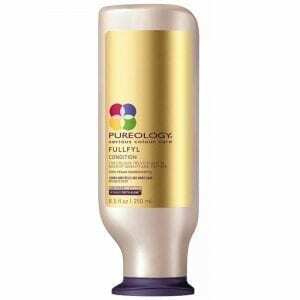 It is a lightweight formula that will not feel heavy on the hair. Using plant-derived amino acids and plant proteins, hair will have more density and appear thicker. It will also facilitate the creation of curls, waves and braids while maintaining density and hold all day. 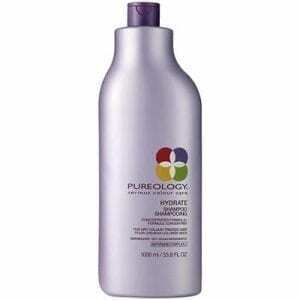 Pureology Fullfyl Shampoo is a density-building shampoo that provides hair with a increase in density and thickness without compromising the health and condition of hair, especially color-treated hair. Perfect for low maintenance, effortless style. AirDry technology and AntiFade complex provides fast dry time, enhanced body, frizz control with a no product feel and colour radiance protection. Gentle, shampoo-free cleansing conditoner and co-wash that hydrates and softens dry colour-treated hair with Rosemary Extract and Jojoba Oil. Protect the integrity of dyed locks and deliver intense hydration in one easy step thanks to the AntiFade Complex that maximizes color retention. Get manageable, natural movement in your hair for healthy looking, touchable tresses. 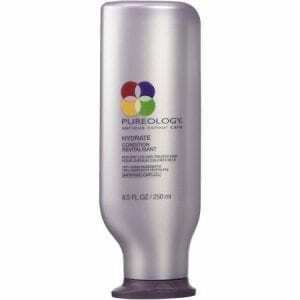 Gently cleanse while protecting the color integrity of dyed hair with Pureology Hydrate Shampoo. This unique concentrated formula delivers moisture where it is needed most for a luxurious, spa-like feeling. Thanks to the AntiFade Complex, this shampoo does not strip color and easily rinses out. As a bonus, the invigorating fragrance creates a multi-sensorial experience with every shower. 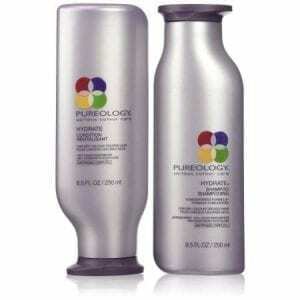 Reinvigorate your hair with the gentle cleansing powers of Pureology Hydrate Shampoo Travel Size. 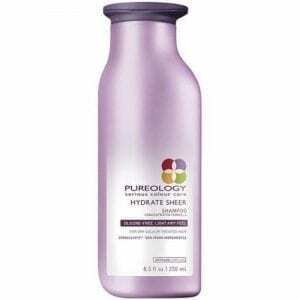 Ideal for color-treated hair, this ZeroSulfate formula cleans your beautiful locks without stripping color away. The rich lather infuses hair with essential moisture and easily rinses away. Bring the spa with you thanks to this easily transportable multi-sensory bottle featuring a luxurious fragrance. 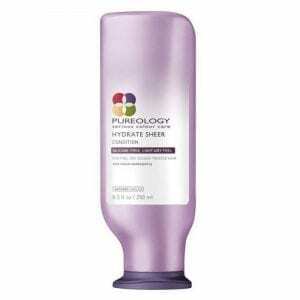 Pureology Hydrate Sheer Condition is a conditioner that will restore hydration and promote shine. The lightweight formula is free of silicone. 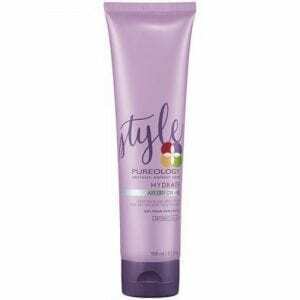 It is suitable for dry, colour-treated hair. Keep fine, dry hair happy and hydrated with Hydrate Sheer Shampoo. 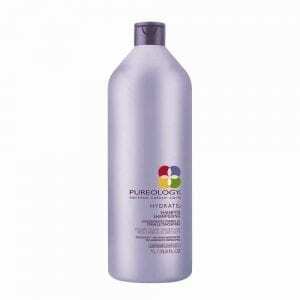 Gently cleanses hair without the added weight of silicones, leaving hair moisturized without the build up. Keeping your hair shiny, vibrant and colourful! Instantly smooth flyaways and add vibrant shine while keeping colour radiant. This weightless serum delivers light nourishment and creates a soft, lustrous finish.